Seems like the download links are down, could you update them please. 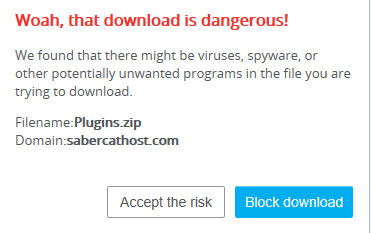 can't download that plugins folder i tried multiple times. it just keeps saying it has a virus and will not let me lol. You can fix this problem by downloading the file in Edge instead of Chrome. If you are continuing to get problems while installing it into your Simba folder, just disable Windows Defender/any other AV and then place it in. Then everything should work. "Waiting for response for webserver" any idea? I'm using the updated 32-bit simba client you linked, also I updated all the Plugins from this post. Any idea of how I can fix this? hey I got it to work. It seems that if you update the 32 bit client it gives you that error, so I used the link you posted without updating it and it worked great! Last edited by johnstride101; 09-15-2018 at 03:30 PM. I'm using the RSWalker thats forked in AL. When I get my player POS or try to make a path using the SPSMaptool, it prints the points as mouse coordinates rather than title coordinates. So it's a bit confusing... Even when I do RSW.getMyPos it prints mouse coordinates vs tile coordinates. Never mind, using a smaller map yields much smaller points. However, I'm getting different points everytime I do RSW.getMyPos. Anyone else getting this problem? Last edited by kingarabian; 09-19-2018 at 10:20 PM. Unknown declaration "TColEx" at line 277, column 10 in file "C:\Simba\Includes\AeroLib\core\engine\SimbaEx.sim ba"
Unknown declaration "CharsNPC" at line 405, column 14 in file "C:\Simba\Includes\AeroLib\core\engine\SimbaEx.sim ba"
Please use the edit button instead of triple-posting. The AeroLib include is outdated. Please refer to these links to get up and running with SRL, the currently-supported include. [AL] There's a major update available for AeroLib.